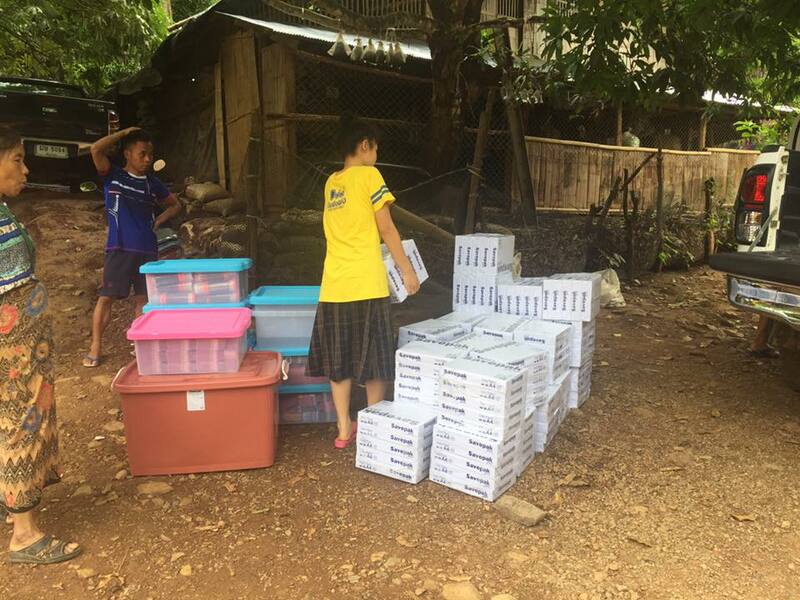 We can’t begin to tell you how impressed we are with volunteer Stephanie Wright seen here delivering a VERY full truck load of school supplies to Mae Ra Moe refugee camp. Stephanie visited Mae Ra Moe a year ago for a day trip while on a multi-week service program with Rustic Pathways. In that visit she had the opportunity to speak at length with many camp residents. After hearing the personal stories of their lives in the refugee camp she decided she needed to return to help! While juggling the demands of her rigorous college studies, she launched a fundraising campaign with great success! 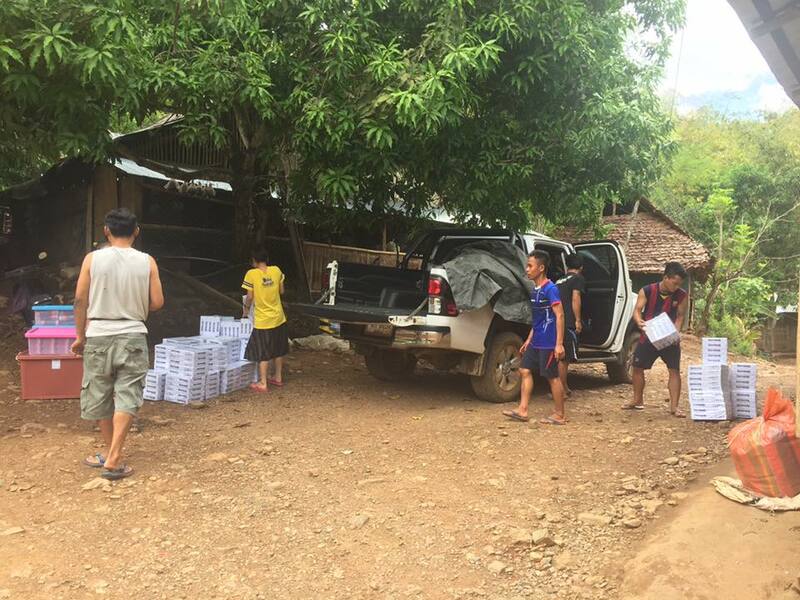 And here she is, back at Mae Ra Moe, unloading school supplies for Karen Adventist Academy, one of two high schools in camp. Thanks to her hard work and the generosity of so many donors, Stephanie was able to buy and deliver 10 pink and blue boxes of supplies (pencils, crayons, pens, sharpeners, erasers, magic markers and more), one big brown box of supplies and 35 stacks of copy paper! With current severe funding cuts having a deep and direct impact on schools in camp, these essential supplies are needed more now than ever. This is an incredible accomplishment, Stephanie! Education leaders at camp put Stephanie right to work teaching English. She is volunteering at camp teaching English and First Aid for almost two months!